Law enforcement organizations are increasing their use of unmanned aircraft systems (UAS) for rescue missions, disaster response, pursuits, and other activities that are possibly dangerous or difficult to access on foot. Public opinion is playing a large role in the success of these programs. Most organizations looking to start a UAS program will face challenges, but the challenges regarding perception can be particularly delicate in the law enforcement industry. With widespread public concern about safety and privacy, the industry demands clear and accurate communication about the intended uses of UAS. Furthermore, potential conflicts between federal and state/local laws must be considered. Los Angeles’ efforts to launch a UAS program sparked such widespread protests in January that the program is now on hold. A formal opposition group formed specifically to combat alleged infringement of personal privacy, aptly named the “Stop LAPD Spying Coalition”. Sheriff officials told the LA Times that UAS would “only be authorized for use in…extremely dangerous and threatening situations.” The department’s written policy specifically prohibits UAS use for random surveillance missions. Yet critics note that the policy could be changed at any time, that there can be a fine line between surveillance that police deem appropriate or mission-critical and what residents consider obtrusive, and that the department has surveilled residents without public approval in the past. The aggressive opposition indicates a lack of trust between (certain) residents and city officials, or misunderstanding about the intended use of UAS and safeguards in place to ensure public safety and privacy. An effective communications strategy could resolve these issues. San Diego adopted UAS regulations in April allowing more aggressive local enforcement of existing UAS federal law, including issuing citations and levying fines. The rules didn’t restrict anything that isn’t already illegal under FAA regulations. Critics alleged the regulations didn’t go far enough to ensure residents’ safety and privacy. Yet city officials wanted to avoid interfering with the booming UAS industry and its many benefits, and were also limited in what they could regulate when airspace is largely under federal control. (Some local laws already conflict with Part 107 and other FAA rules; a proposed ordinance in Toms River, NJ that would have severely restricted drone operations was grounded by public opposition, indicating that the public can find laws too lax or too restrictive). 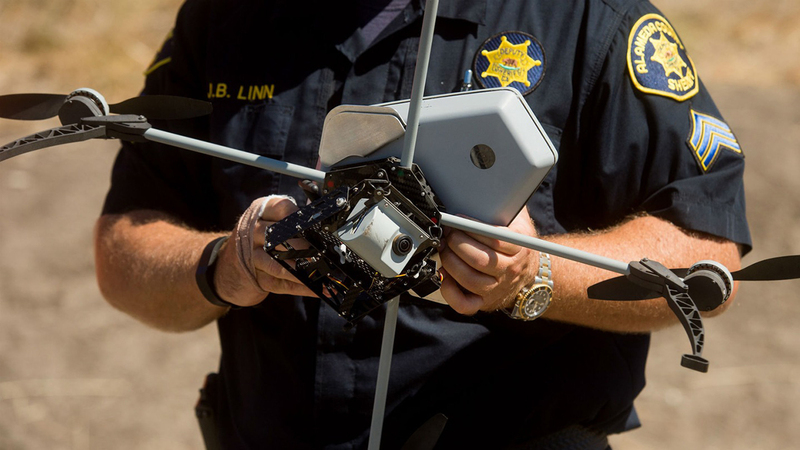 Branding (visible from the ground), so the public can distinguish police units from hobby, commercial or other UAS, and law enforcement can issue citations for unauthorized units.